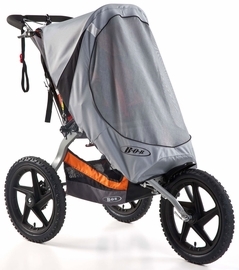 This is a great stroller for everyday walking as well as hiking off paved areas. The front wheel is a locked one so it doesn't turn on a dime, no sharp corners, but otherwise it is the best stroller I have ever used. I have bought for all family members for their new additions. ProsHandles all roads like they're nothing. Smooth ride. Best Usesoff paved areas, even on paved areas. We use this for all our walks and it rides great! 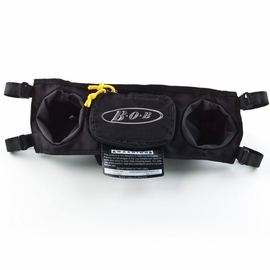 We used it with the Britax infant seat and without. Both ways had our son asleep the whole time. Specifically bought the stroller for running off road. However, every time I took the stroller out it would get a flat. I think that if the company specifically made the BOB utility for all terrains they should have made sure the tubes could withstand many terrains/environments. Finally, after patching up the tubes so many times that it didn't look like a round tube anymore, I had to buy new tubes that had sealant in it, and also a liner that would go between the tire and tubes. That seemed to have worked :) I love the suspension on the stroller which makes for a smoother ride for my child. The BOB cup holder we bought is very useful. There is a lot of space under the seat for storage as well as in the back pocket. The umbrella is huge. It can fit in my small car truck as long as I take the rear wheels off. 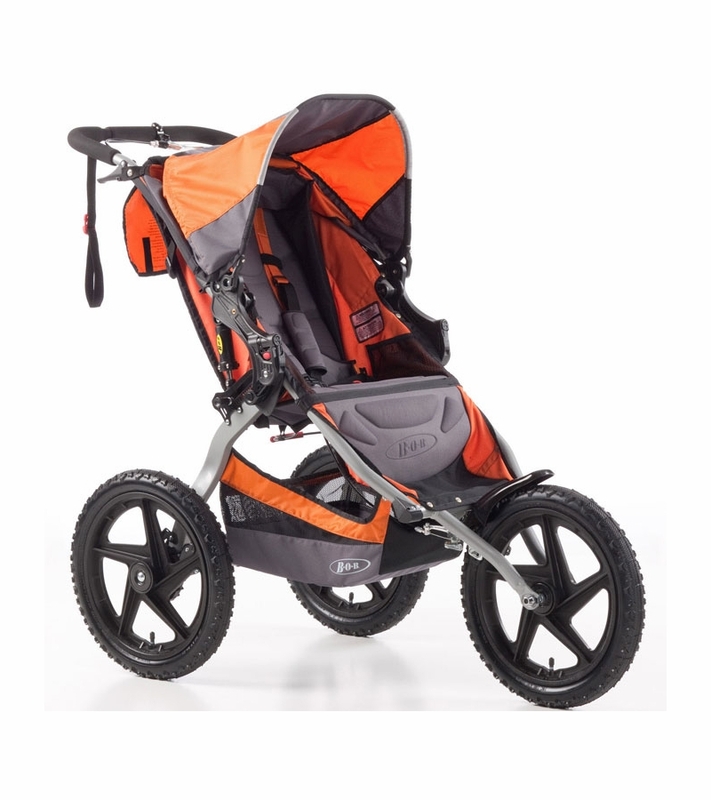 Initially I bought the Revolution but i knew I was only going to be using the BOB stroller for running only so I returned it to get the Utility since I would use it on pavement and off pavement. I read a lot about running strollers and read that it is safer to get a running stroller that had a permanently placed front wheel instead of an adjustable one, so that Is why I bought the SUS instead of the Revolution. Great Off Road Stroller. We live in Montana and needed something to go over bumpy roads, gravel, rocks and dirt paths - this stroller does the trick and is a breeze to use. 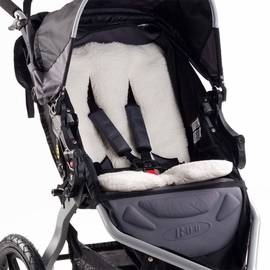 I would strongly encourage those who are looking for a pure running stroller to consider a different option. Since the front wheel is permanently fixed on this stroller it makes running on pavement difficult as it requires you manually pick up the front tire to turn it. 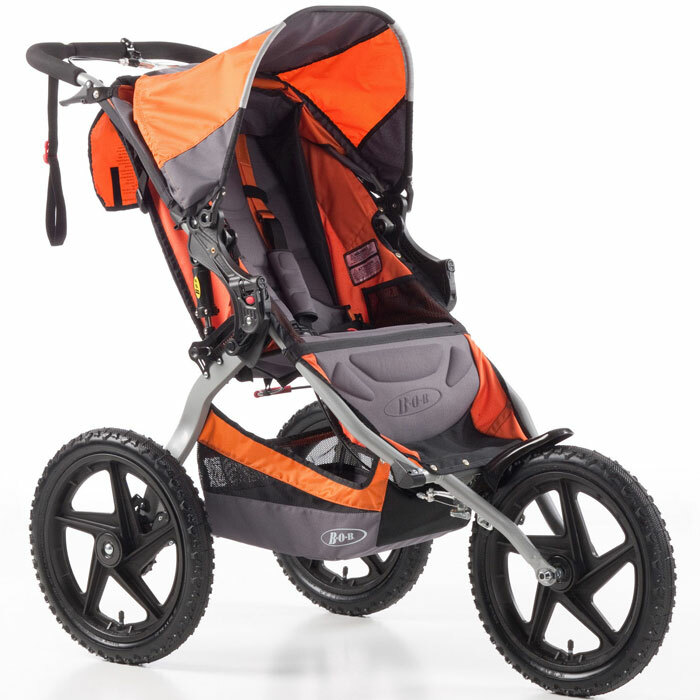 Great for off road, as this feature makes it an extemely sturdy ride, but it would be wildly annoying if your sole plan was to use this as a running stroller. For us, this stroller is perfect, we couldn't be happier. 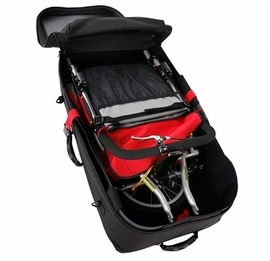 What a great outdoor adventure stroller! Best UsesOff Road, gravel, dirt, hiking, parks, recreational uses. I am an avid runner, and had been using an older and cheaper jogger for the last two years. I finally upgraded to the BOB jogger I had my eye on for some time and my only complaint is I didn't do it sooner! 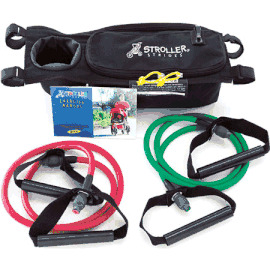 This jogger has such a smooth ride for my daughter and is easy to push! I also love all the panels for drinks, snacks, keys, etc. If you are a runner, get a good jogger. ConsThe height on the handle doesn't adjust. Stroller is perfect for our family as my husband and I love to run with our daughter. It is a smooth ride that works well even on bump surfaces. We are very happy with out purchase and feel it was well worth the money! What is the weight limit for the stroller? The weight capacity is 70lbs.